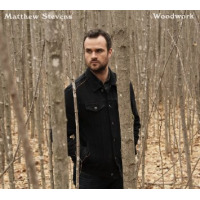 One of the brightest guitarists of his generation, Matthew Stevens will soon be releasing his debut album. Over the past decade he has recorded and performed with some of contemporary music’s finest musicians, including Christian Scott, Victor Bailey, Jason Moran, Rodney Holmes, Ben Williams, Jeff Lorber, Aaron Parks, Jacky Terrasson, Esperanza Spalding, Walter Smith, Gerald Clayton and Dr. Lonnie Smith. Stevens’ playing has been applauded in publications worldwide, including The New York Times, Downbeat, Jazz Times, Billboard Magazine, The Los Angeles Times, and All About Jazz. He has toured extensively in the U.S., Canada, Europe, Japan, South Africa, and South America, performing at some of the best national and international jazz festivals including Montreux, North Sea, Newport, Montreal, Monterey, Fujitsu, New Orleans Jazz and Heritage, and at renowned venues such as the Hollywood Bowl, The Kennedy Center, The Blue Note clubs in New York, Tokyo and Milan, and The Moscow International Music House. Stevens is a member of the adjunct faculty at The New School and has taught at The Maryland Summer Jazz Workshop and Berklee College of Music (his alma mater). He is from Toronto, Canada, and currently resides in New York City. He (Stevens) may be cerebral in the clear consideration going into every note, every chord; but, with an impassioned sense of commitment, his solos built with a burning combination of inevitability and sheer unpredictability. All About Jazz musician pages are maintained by musicians, publicists and trusted members like you. Interested? Tell us why you would like to improve the Matthew Stevens musician page.